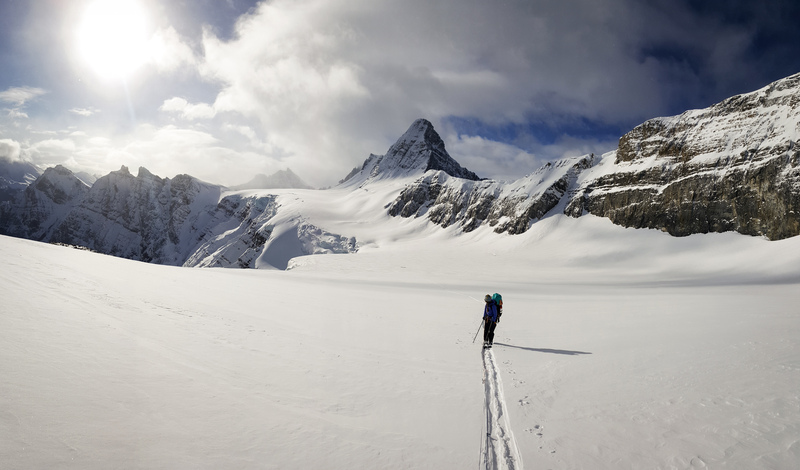 Two of us skied the Winston Churchill Traverse over the last three days (April 6-8) in generally good spring conditions. When it was snowing and blowing on the 6th, we directly witnessed a few small cornice failures and wind slabs in steep NE facing alpine terrain to size 1.5. The approach up Diadem Creek had been pounded in by snowshoers, which made for easy travel. Travelling off the beaten track in the valley bottom required knee deep trail breaking in unconsolidated snow. 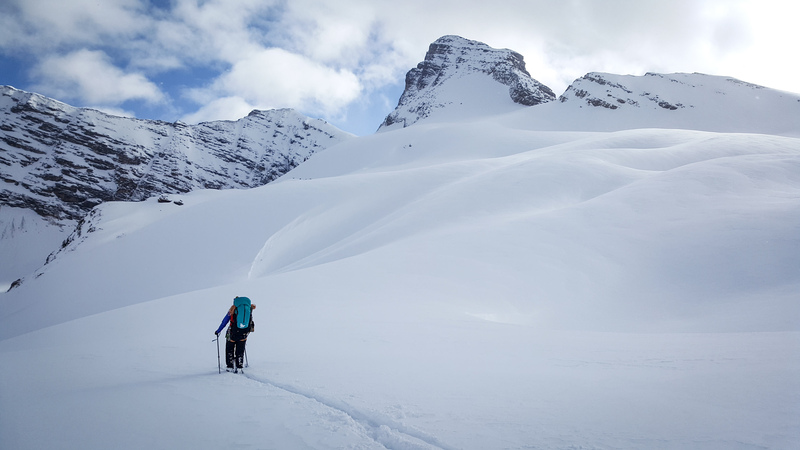 Once on the glaciers we found an average of 250-300cm of snow, with a few visible sags. There currently are some train car sized cornices on the ridge between Mount GEC and Mount Nelson that leave you feeling quite vulnerable as you traverse the bench below them. Ski quality was good on polar aspects with boot top powder on the Gong Glacier. 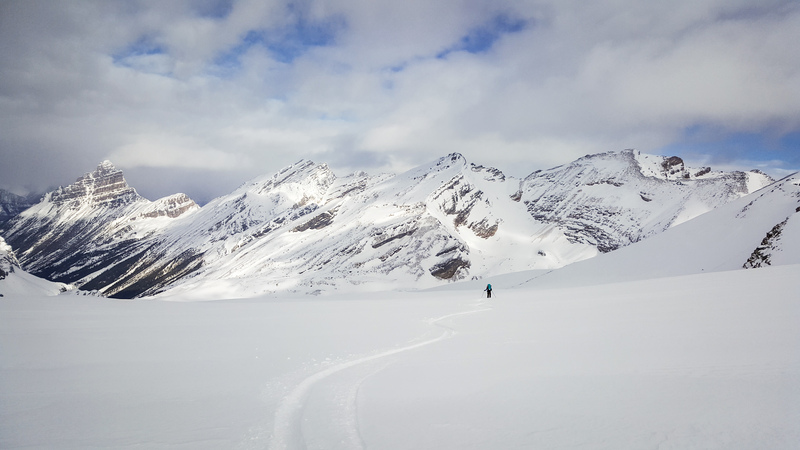 With cooler temperatures on the 7th and 8th, travel was excellent on a supportive crust above 1800m, and ski crampons were a definite necessity. The descent back to the highway was a mixed bag of firm and breakable crusts, but true isothermal conditions weren't found until reaching the valley bottom at 1:30pm. One of the cruxes of the trip right now is safely crossing the Sunwapta River. We had to walk a kilometer or so upstream before finding a snowbridge that didn't look like it would end in an icy swim.